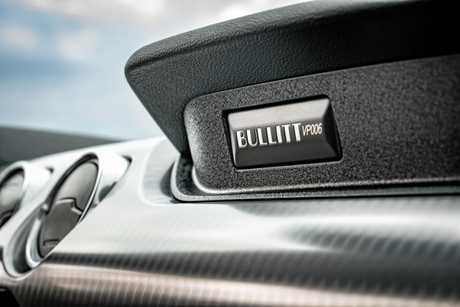 The Ford Mustang Bullitt starts from $73,688 plus on-roads, with only 700 units available in Australia. SPECIAL edition Ford Mustang Bullitts will cost more than $70,000 when they arrive during October. Claiming the title as the most powerful Mustang sold by Ford Australia, they come standard with a 5.0-litre Coyote V8 delivering 345kW and 556Nm partnered to a six-speed manual. That's 10 more kilowatts than the standard grunty GT. 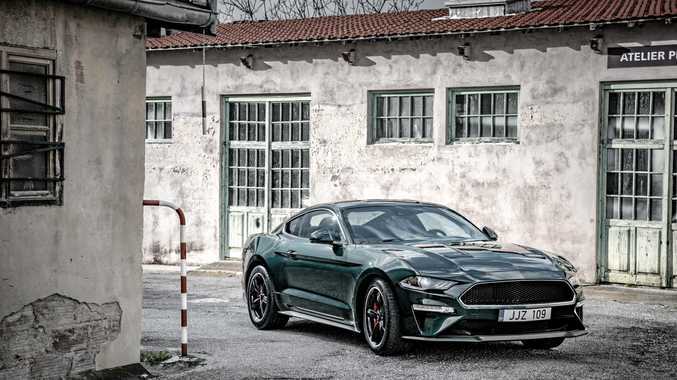 The distinctive green Ford Mustang Bullitt was released in honour the 50th anniversary of the iconic Steve McQueen film that saw the him a 1968 Mustang Fastback in what's labelled one of the silver screen's most epic car chases. Following its reveal at Detroit motor show early this year, Australia was awarded a limited run of 700 units. It will cost $73,688 plus on-roads, and comes only in the Dark Highland Green paintwork, glossy black 19-inch Torq Thrust-style alloys, Brembo brakes with bright-red calipers, special Bullitt fuel filler cap, along with named scuff plates, unique finishes and green-stitched dash, door trims and heated and cooled front seating. Optional Recaro seats are available as a factory option. There will also be a stark-white cue-ball gear-shift knob and unique stitched gearshifter. Most have already been sold despite prospective buyers not knowing exact specification or price. The Ford Mustang Bullitt starts from $73,688 plus on-roads, with only 700 units available in Australia (overseas model). 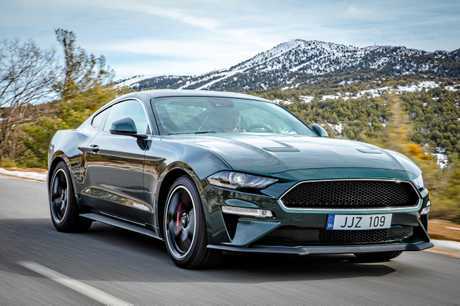 "Bullitt is the car-chase of car chases, and we know that Australians are passionate about Mustang, so we're pleased to have secured our own batch of this unique model," said Ford Australia president and CEO, Graeme Whickman. "It further builds on the Mustang story in this country as we respond to enthusiasm for even more choice, additional features and personalisation across the line-up. Australians are looking for Mustangs that really stand out, and Mustang Bullitt really makes a statement." The 5.0-litre has an open air induction system and intake manifold, with 87mm throttle bodies, Ford Racing air-filter and a Powertrain Control Module shared with the Shelby Mustang GT350. There is Bullitt badging from strut-tower to strut-tower. It also has Mustang's rev-matching system, which delivers smoother downshifts accompanied by a 'blip' of the engine. The active exhaust has four modes from rumble to raucous. This special edition Mustang also comes standard with autonomous emergency braking, lane departure warning, lane keep assist as well as adaptive cruise control, auto-levelling headlamps, automatic high- beam and an 8.0-inch full-colour reversing camera. Infotainment includes Apple CarPlay and Android Autov is standard, as well as satnav. The driver has a 12.4-inch digital instrument cluster, while each vehicle will have its own individual number etched into the passenger side's plaque.